If you missed this deal last month, it is back again! 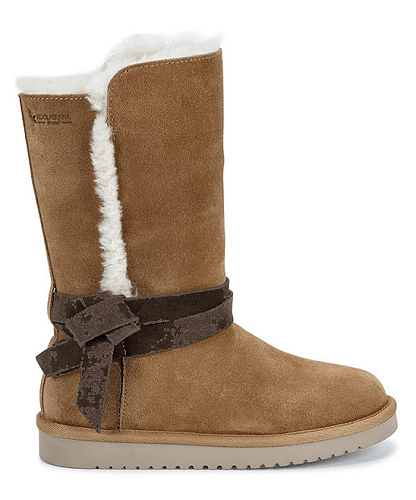 Zulily is offering these Koolaburra by UGG Chestnut Rozalia Tall Suede Boots for $39.99! That is down from the normal price of $99.99. Cozy sheepskin and plush faux fur team up to lend supersoft comfort to this pair featuring ankle accents for a pop of personality.